Today, we’re updating this 2017 article on Facebook Ads to announce an exciting new opportunity for all Ecwid merchants. With each passing quarter, selling on Facebook and Instagram gets more effective and more popular. Ecwid E-commerce wants to do everything possible to get merchants using these two social media channels to reach ideal prospects affordably. 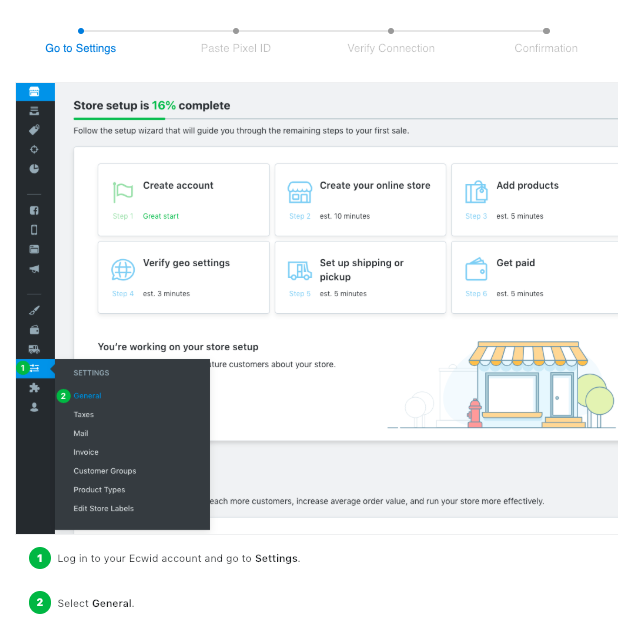 That’s why, starting today, we’ve made it easy for all merchants, including free Ecwid users, to get started with the Facebook pixel absolutely free. Ecwid powers 50,000 Facebook stores. Our merchants report additional revenues of 15% after selling their products on Facebook. Big companies have their tech departments to bridge the technology gap between their products and these social platforms. Without Ecwid, small and medium-sized business owners would have to struggle through hours of work and pages of documents to do the same. Our developers have hidden all the tough coding behind a friendly user interface so you can install the Facebook pixel in your Ecwid control panel in under one minute, with no technical skill whatsoever. Implementing the Facebook pixel in your marketing today lays a solid foundation for social marketing and advertising success in the future. Understand that, among the many advantages it delivers (discussed below), the Facebook pixel can prevent you from spending more money on ads than you earn from them. To take advantage of this opportunity, please read the following article. It can help you advertise to people similar to your existing customers. If you want to advertise on Facebook and rest assured your ads are effective, this integration is for you. 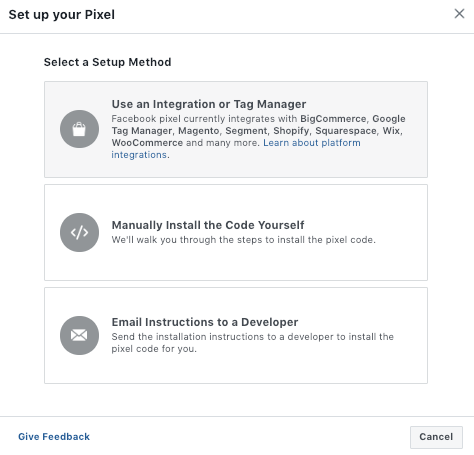 You can install and use the full power of the Facebook pixel in your Ecwid store without touching any code. 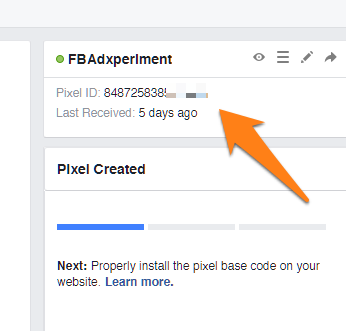 The Facebook pixel can track various actions that happen in your Ecwid store. Many people don’t buy during their first visit to the store. 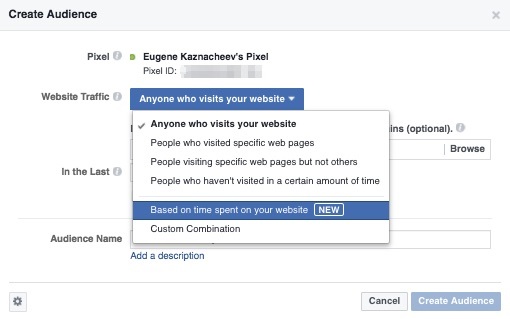 With the Facebook pixel, you can create Custom Audiences to follow up on those customers with your ads on Facebook, Instagram, and Audience Network. This is called retargeting. People who spend a lot of time browsing in your store but hesitate to make a purchase. Custom combinations are also available: you can mix the rules for pages, types of devices, and the number of visits. The remarkable thing is that in all cases, you’ll advertise to people who have already shown an interest in your store. That means they are more likely to buy from you. After clicking the Create Audience button, it’ll start collecting automatically. You won’t need to restart or renew it. Assign your ads to these audiences right away or refer to them later. Wait. Is there a way to run retargeting ads without dealing with Ad Manager? Yes! 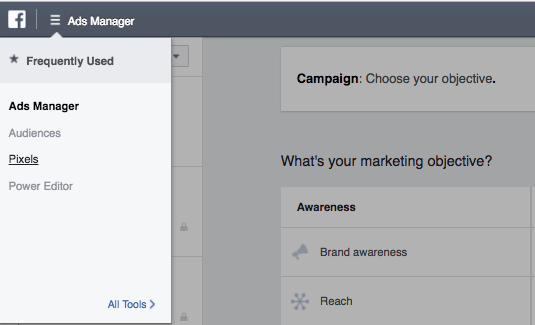 There’s a way to run retargeting ads without setting up your Ad Manager. Simply install the Scaler app, add funds, and it’ll start working. What exactly happens as a result of your ad? The Facebook pixel makes it clear. 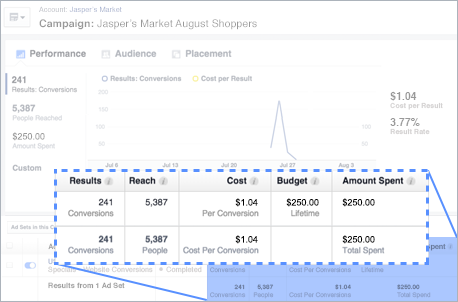 It tracks conversions, so you can calculate the ROI (Return on Investment) of your Facebook advertising campaigns. It prevents you from spending more money on ads than you earn from them. It’s not only purchases that you can track with the Pixel. The Ecwid integration with the Facebook pixel saves you from all the code work. Without it, you would copy a line of code for each separate event and install it in your store code. ViewContent: the Pixel will trigger this when visitors view product or category pages. Search: this event shows when people use your search box to find products. AddToCart: learn when visitors add products to the shopping cart without finishing the purchase. InitiateCheckout: this event detects people who click Checkout. AddPaymentInfo: learn when people are halfway through their checkout. Purchase: know when visitors turn into buyers. Every Facebook ad campaign needs to have an objective. That is how Facebook optimizes the bids and ad delivery. 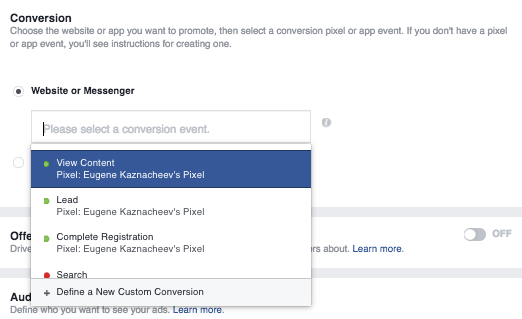 Installing the Facebook pixel in your Ecwid store allows you to set conversions as your objective. That way your bid will be optimized to get your more conversions, and you’ll be able to see the results in your Ad Manager. It’s possible to select different conversion events (identical to your Standard Events range) to achieve specific goals. If you want to know how many purchases your ad generated, stick to Purchase here. In your Facebook profile, click the drop-down menu on the right. 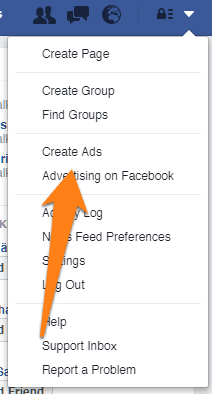 Choose Create Ads (if you’ve never logged into Facebook Ads before) or Manage Ads (if you’ve used Facebook Ads before). You’ll then find yourself in the Ad Manager. Click the drop-down menu and select Pixels. On the next screen, click the green button Create a Pixеl. Click Use an Integration or Tag Manager. 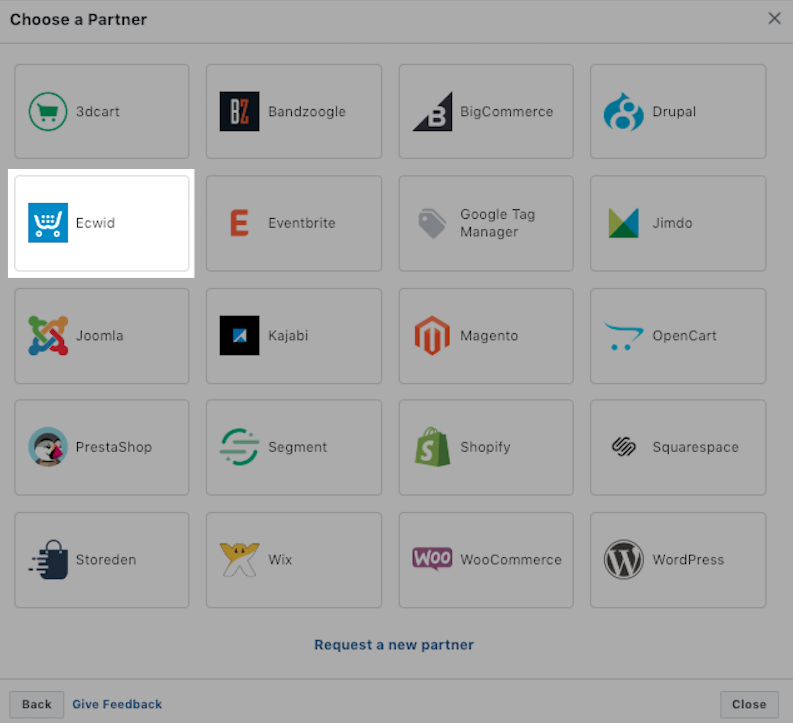 Select Ecwid from the list of official Facebook integrated partners. Then check if your pixel is working. Navigate to your store to get the pixel triggered. Then go back to your Ad Manager → Pixels and check your pixel’s status. The green light means it’s active. It might take up to twenty minutes to activate your pixel. All your pixel activity will be displayed in your Ad Manager. There you’ll see the graph showing how many times the pixel was triggered. Below you’ll see the tabs with the stats for the pixel events. As soon as your pixel has gathered some data, you’ll be able to use it in all gears. Here is a step-by-step guide on creating your Facebook Ad campaign.